By the late 1960s, conditions in the Middle East were tumultuous. Israel had captured and held mass swaths of territory, and tensions with its neighbors were at an all-time high. However, the election of a new U.S. President brought hope in 1969 that stability and security might soon be in reach. 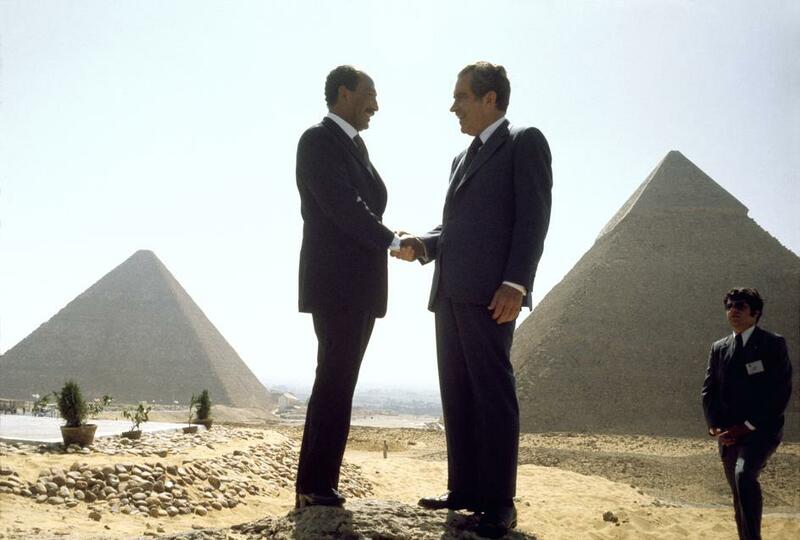 Egypt had not maintained particularly strong relations with the United States since the Eisenhower administration, and following the Six Day War Nasser was certain that America was implicit in securing the Israeli victory. However, RN’s telegram response of the following February was characteristically amicable, telling Nasser that he welcomed “the opportunity for a frank and friendly exchange,” and stressing that the United States would make every effort to achieve a lasting peace. Though the two rival leaders could not tell each other directly, both made their independent desires for peace very clear to the new President, since he previously expressed desire to serve as an intermediary and bring stability to the region. RN would later live up to this ambition, setting the groundwork for peace there in 1974.